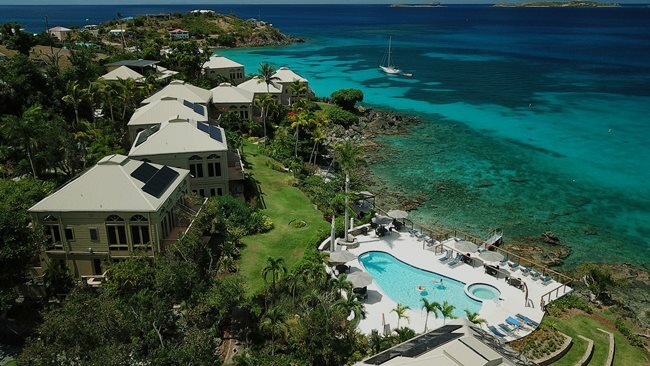 Unlike most resorts, whose grounds are comfortable but heavily man made, Gallows Point Resort is landscaped into the natural beauty of the jungle in the US Virgin Islands. Rather than wide open spaces, its walkways are saluted by dense palm trees. What’s interesting about Gallows Point, unlike any other resort we visited, is that it’s right in the middle of a small village. But it’s also set in Cruz Bay on St. John, the little brother island to St. Thomas, which puts it within walking distance of a hundred seaside restaurants and cute shops. That makes it the perfect bridge of civilization and nature, from tourist activity and amenities, to the environment. It’s even within walking distance from the ferry, if you come without a car, but you’ll want a car to explore the rest of St. John. St. John is less touristy and just as beautiful as St. Thomas. It’s easy to get to via hourly ferry, but make sure that your rental car company permits your car to make the crossing. The Reef Bay Hike is an athletic hike up and down a steep hill, which will exhaust your energy to explore the rest of St. John, and there is not much left of the plantation ruins to see. Soon the Virgin Islands National Park will re-open their guided Reef Bay Hike tours, which surely will make the effort more worthwhile. 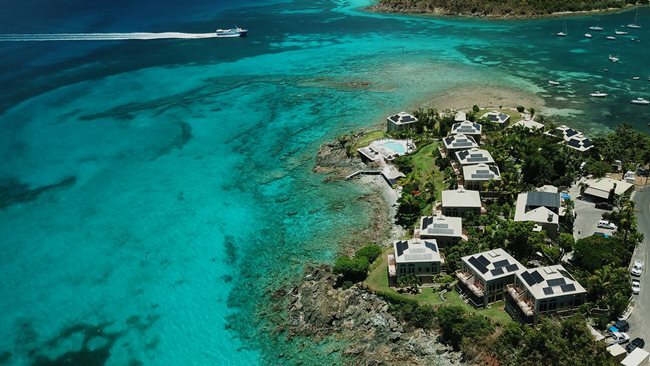 But if you only have a day or two on St. John, invest your energy instead going snorkeling at Maho Bay, which is even less touristy, or at Trunk Bay, which has more amenities. Tour the Annaberg Sugar Plantation Ruins and learn about the history of slavery. (I was unable to pin down where the name “Gallows Point” comes from, but I’m sure it is not a good origin.) Explore the shops of Cruz Bay, and then hike to Honeymoon Beach, or take a tour or rent snorkeling gear from VI EcoTours. Coral Bay is sleepy but very nice, too. 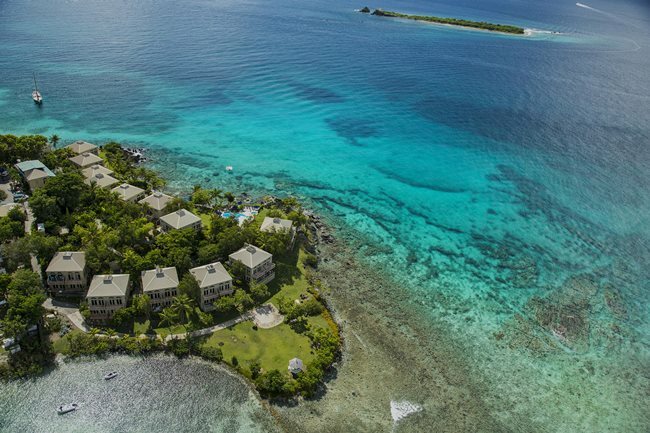 Gallows Point is the ideal gateway to St. John, a luxury resort whose rooms were more opulent than the other four stays of our vacation. You’ll stay in a series of interconnected enormous rooms with high ceilings, a suite, with a direct view of the ocean. Ours was just a few feet from the ocean itself, so close that we could hear the surf from the kitchen. Out front, there’s an open plan sitting room and kitchen with a large marble counter and glass table. 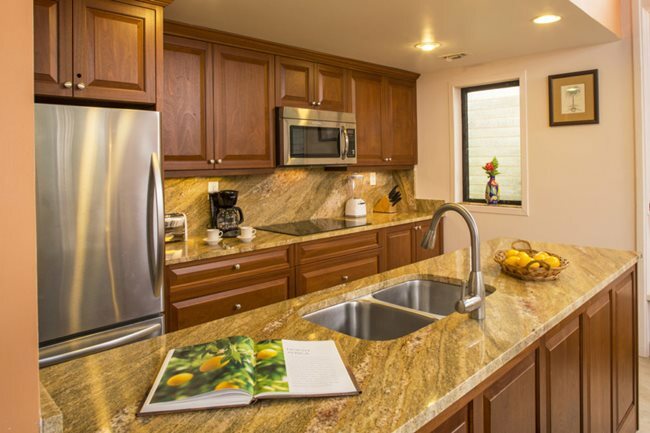 You’ll find all the amenities to cook for yourself or host a party, including a fridge, freezer, microwave, dishwasher, stove, toaster, blender, and coffee maker, with a ton of mugs and plates. The bathroom must be the largest on the USVI, with a giant, room-sized shower lined with marble tile. The shower is so big that it comes with its own art display, a nook filled with artwork. You’ll get plenty of extra towels and pillows, and there’s a little sitting room of to the side of the bedroom with wicker furniture. It couldn’t be any cuter or more comfortable. You’ll get your own nice little patio area with friendly iguanas and a path down to the beach, only a few steps away. The grounds are beautiful and well integrated into nature, and you’ll hear birds in the morning, which if you’re a light sleeper suggests you go to bed early. Parking was tight. Thankfully they have laundry on site.Their mid-sized grounds include a small pool, whirlpool (a hot tub), a small private beach with good snorkeling, and their own restaurant, Ocean 362, or you can instead walk out into the streets of Cruz Bay for dinner and enjoy the nightlife there. We even found an ice cream stand. With only 14 luxury cabins to rent, Gallows Point is smaller than resorts like Margaritaville, but its experience is more intimate, less touristy, and more culturally fulfilling — less Disneyfied, is what I mean. 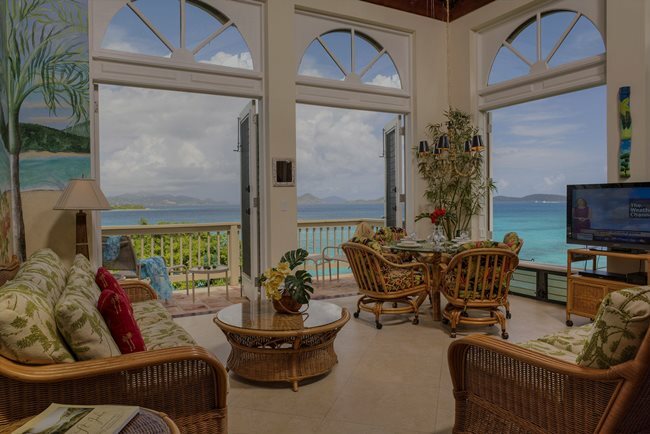 Never leaving your resort for a week is a poor way to embrace a vacation, anyhow, so instead use Gallows Point as a staging ground to explore St. John and then come back to recharge. Gallows Point Resort is the ideal getaway to let all your troubles go and embrace island living. Even those who resist relaxing will sink into comfort at Gallows Point Resort. I’m glad to give Gallows Point Resort my rare 5 stars PLUS.